Our new premises are as ambitious as we are. 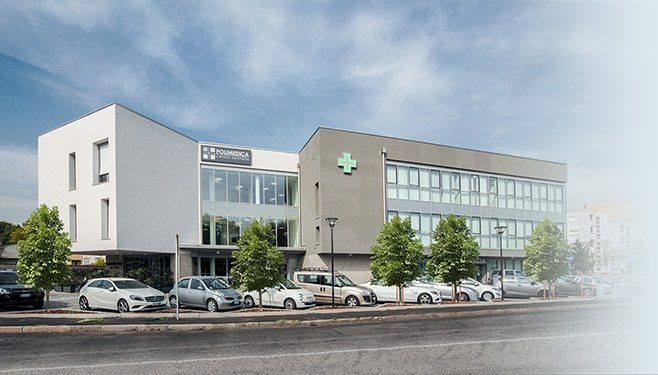 Innovation is our password and that is why we have moved our Clinic to Polymedica Vigevanese, a new health center of excellence. Come and visit our Clinic with both its ultra modern departments. Elite and Premium will find suitable solutions for every pocket. We are highly specialized in total rehabilitation of very complex cases. Dr Benzi operates as Implantologist in the most important European clinics. In his Studio in Vigevano he proposes the most advanced methods of multi-disciplinary approach to obtain total rehabilitation, even in very complex cases. 3D dental CT. Computerized Surgery begins from here. 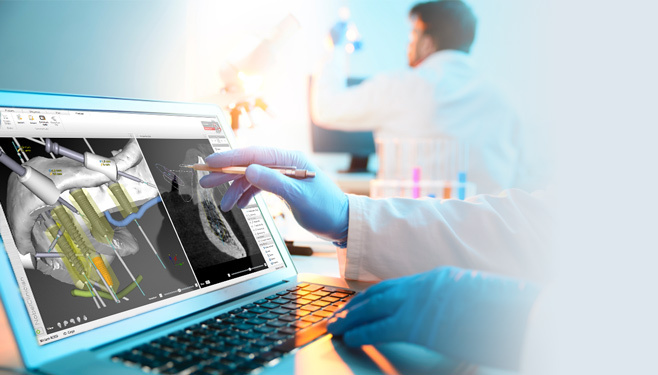 With dental CTs and 3D visions, computerized diagnosis and surgery reach maximum precision. Less scalpel, less pain and shorter recovery time. An extraordinary team that will leave your mouth wide open! 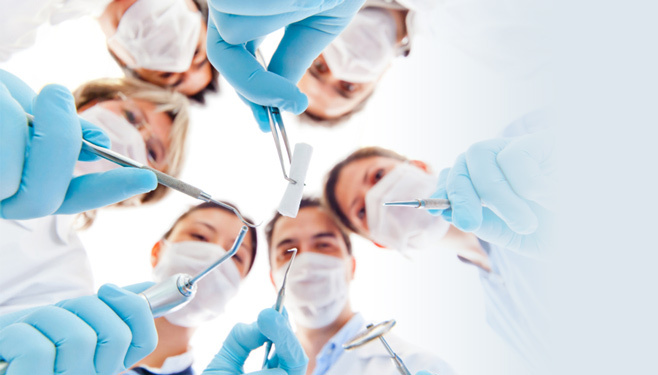 Implantologist, Periodontist, Oral surgeon, Gnathologist, Orthodontist. Our team works together to ensure that every intervention is carried out perfectly. Restoring health, well-being and functionality not only to the mouth but to the whole body. All-on-4™? Just ask those who teach it. Our Studio is the Italian partner of the Malo Clinic Lisbon, and has been collaborating with Prof. Paulo Malo for years. Prof. Paulo Malo is inventor of All-on-4™ system that Dr Benzi teaches in the official Nobel Biocare course. in 24 hours. Good bye to ‘false teeth’! 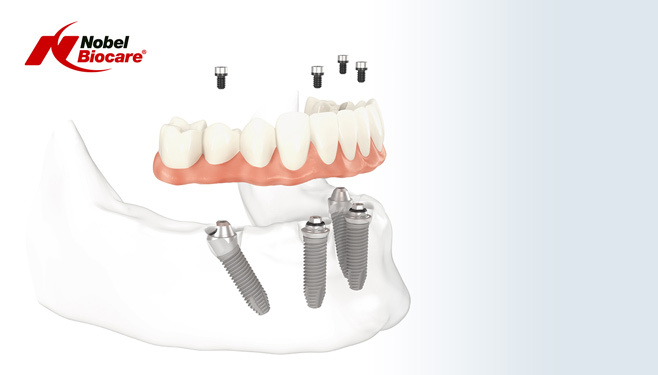 Our immediate load implants provide the patient with fixed teeth in one sitting, even in cases of completely toothless patients and severe atrophy of the maxillary or mandibular structures. Dr Benzi has worked with Professor Paulo Malo, inventor of All-on-4™ for years. Dr Benzi also teaches the Nobel Biocare course aimed at Implantologists all over Europe. Computer aided surgery makes even the most sophisticated prosthetic implants less invasive and virtually free of cuts, stitches swelling or pain. Do you have a very difficult dental situation? Present your case to us and we will evaluate it and give you useful information on how to solve it. When our patient, Maria, came to our surgery with severe atrophy of the upper maxilla, associated with severely compromised conditions – she left us after only 24 hour with a complete set of teeth and a beautiful smile.